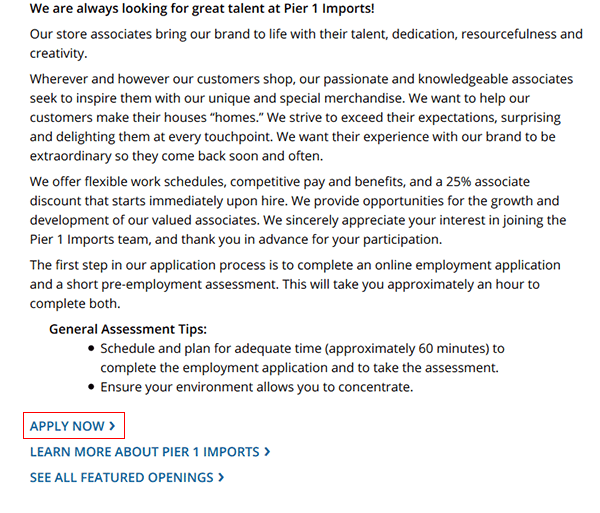 Follow the steps in the guide posted below to learn more about how to fill out and submit the Pier 1 Imports job application (online). Several different types of careers can be applied for online by registering an account and completing the application process. The guide in the below section provides a general overview of how to register a new account, search for positions in your area, and complete the application form. About the Company: Pier 1 Imports is an American chain of home goods stores based out of Fort Worth, Texas. The company was founded in 1962 and employs over 17,000 people across a wide variety of roles/positions. 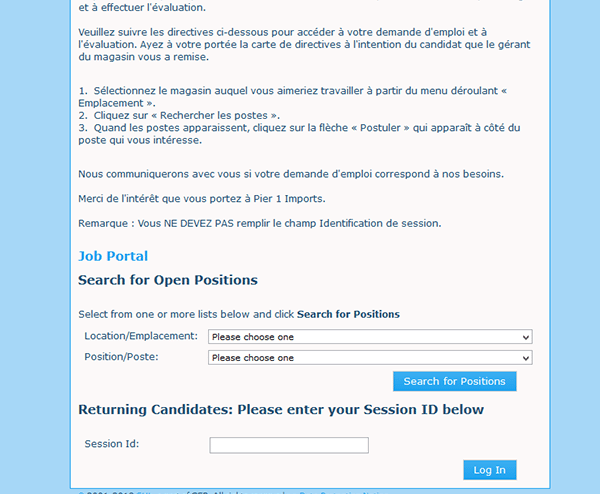 Step 1 – Click here to go to the company’s main jobs page. Note: This guide details how to search/apply for retail positions. Step 2 – Scroll down the page and press the link as shown in the below screenshot (outlined in red). 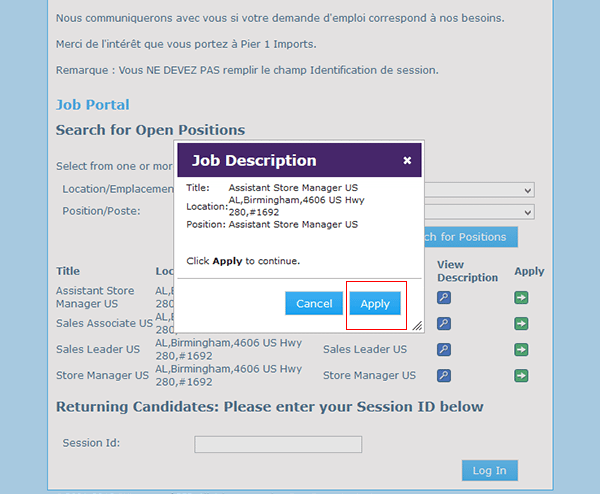 Step 3 – Select a location and position from the two drop-down lists and then click the “Search for Positions” button to load the list of results. Step 4 – Press the “View Description” button of the position that you want to submit an application for, and then press the button as outlined below to go to the next step of the process. Step 5 – Press the “Register Now” button to be taken to the account creation page. 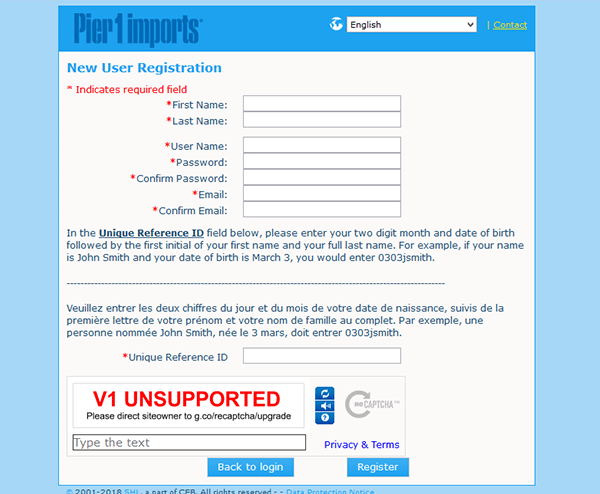 Step 7 – After your account has been created you will be able to fill out and submit the application.